Have you ever, in a moment of misery, attempted to force your face into a smile, hoping the mere physical action may have some reverse effect on your tortured inner state? These sorts of forced grins, the ones riddled with a peculiar stilted posture, these are the ones Jennie Jieun Lee is interested in. The Korean-American artist explores the beauty of cracked smiles and melting faces in "Smile Purgatory," a ceramics exhibition that shows the darker, sloppier sides of the crafty medium. With globular masks and melting vases, Lee explores an intermediate zone between humor and pain, amateur and expert, tradition and experimentation. Lee's fractured faces mimic the cheery smirks we all don from time to time, the bleeding chaos of colors revealing a deeper and darker state. She couples the traditionally feminine, domestic ritual of ceramics with the macho, avant-garde passion of Expressionist paint. Dripping, brushing and pouring color onto her self-molded canvases, Lee forms a technique all her own. The final step to every work, introducing the product to fire, encapsulates Lee's devotion to experimentation and refusal of ownership over the works. 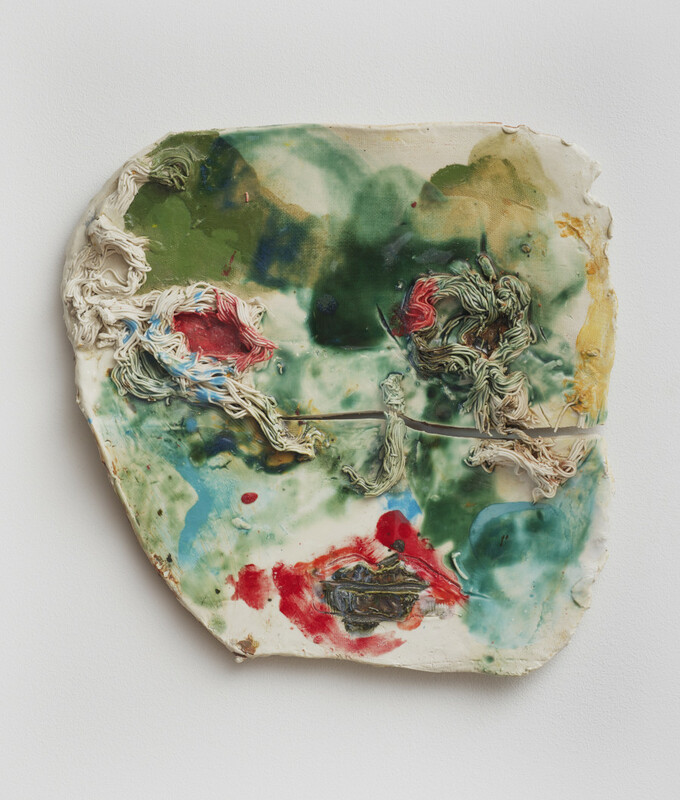 With their emotional stories and wild execution, Lee's ceramic artworks show the power of combining an age old technique with a contemporary artist's angst. Lee was first inspired to create the series during her time as a casting director, finding herself face-to-face with smiles stemming from nowhere. "I saw that the models were frozen in their smiles for the camera even though they were not necessarily happy," she explained in an interview with Galerie Lefebvre & Fils. "This sparked a visceral memory of years past when I was suffering from a deep depression. I would cry while looking in the mirror but then I would force myself to smile repeatedly to see if my face would move that way. This show is a ceremony to exhibit the specific ways a smile can become stretched and distorted when held beyond the initial state." The artist's history with agoraphobia, an anxiety disorder arising from fear of spaces without an easy escape, also contributes to her practice. After spending too much time indoors, Lee would feel her face begin to contort, an experience she channels through her mask-making. "The longer I trapped myself inside my house, the more grotesque and distorted my face would become in my mind," she said. "Some of the masks are cracked to display the kaleidoscopic deformity I'd see when I looked in the mirror during that time." "Smile Purgatory" runs from June 13 until October 11, 2014 at Galerie Lefebvre & Fils in France. See a preview of the colorful exhibition below. "Spirit of the Dead Watching." 1892.